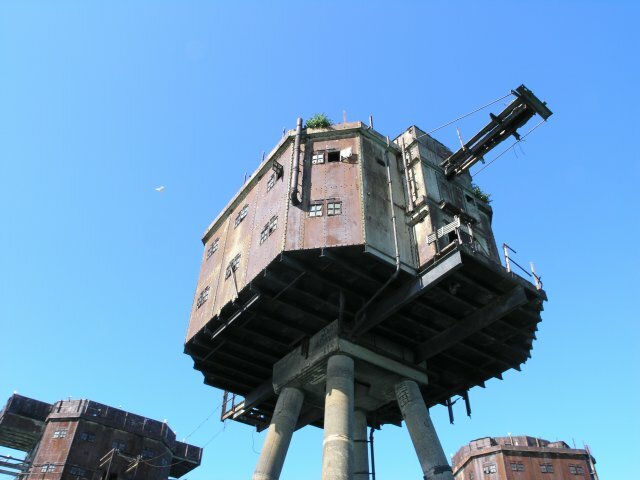 The Maunsell Sea Forts were small fortified towers built in the Thames and Mersey estuaries during the Second World War to help defend the United Kingdom. They take their name from their designer Guy Maunsell. 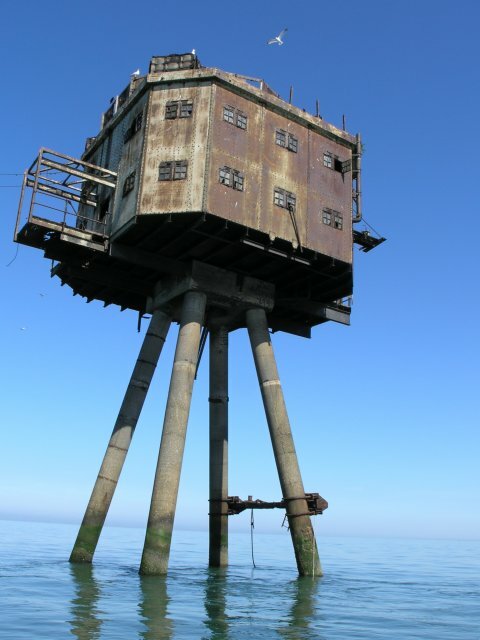 After they were decommissioned in the late 1950s, they were used for other activities, and one became Sealand, the self-described "micronation". 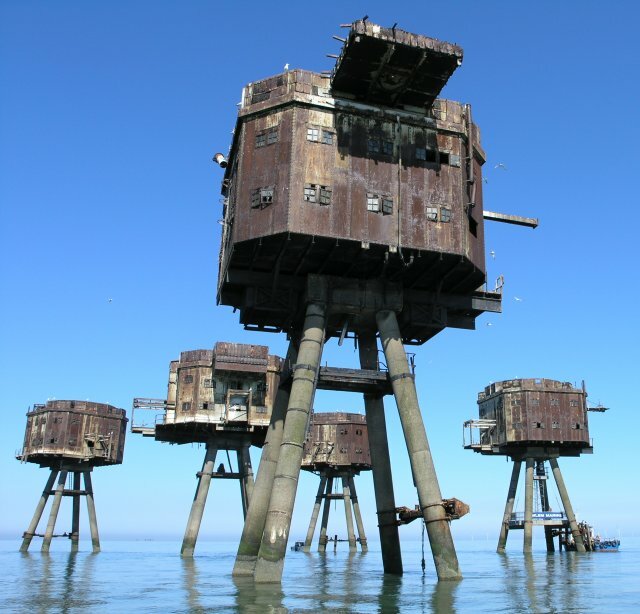 Maunsell also designed forts for anti-aircraft defence. 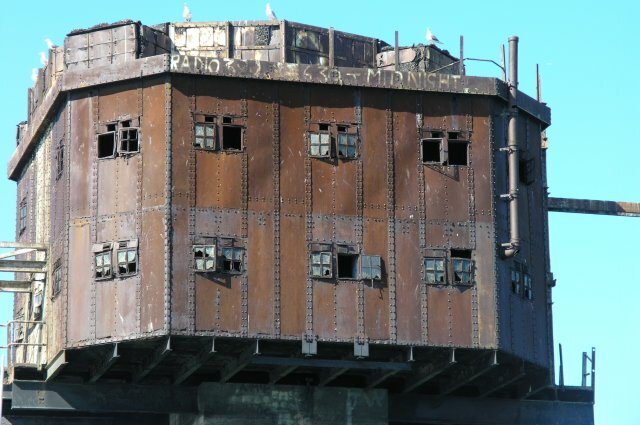 These were larger installations comprising seven interconnected steel platforms, five carried guns arranged in a semi-circle around the control centre and accommodation — the seventh set further out than the gun towers was the searchlight tower. 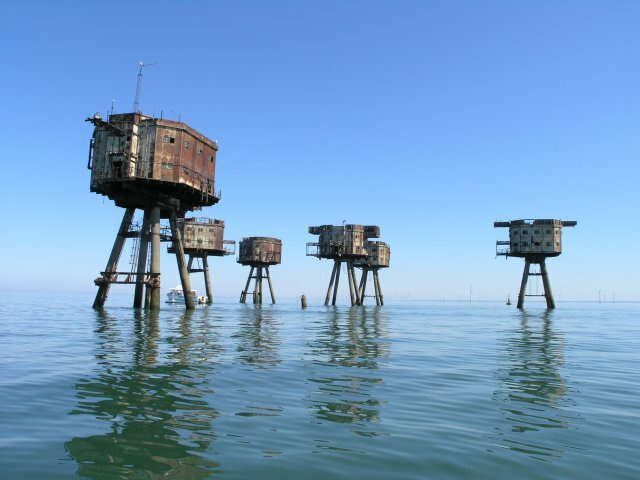 Three forts were placed in the Mersey. 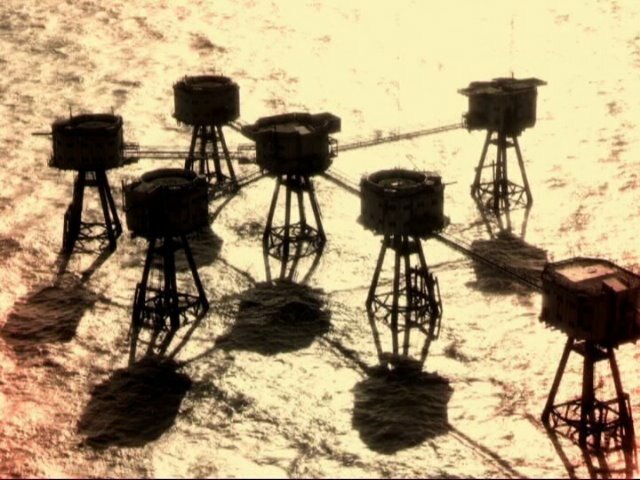 A further three were sited in the Thames estuary: Nore , Red Sands Shivering Sands. During the war the forts shot down 22 aircraft and about 30 flying bombs. 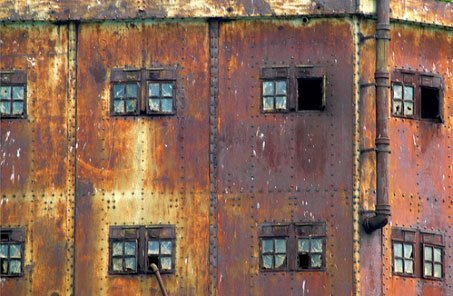 They were decommissioned by the MoD in the late 1950s.